Queer Between The Covers – Today! Come see me at Queer Between The Covers from 11am-6pm today! 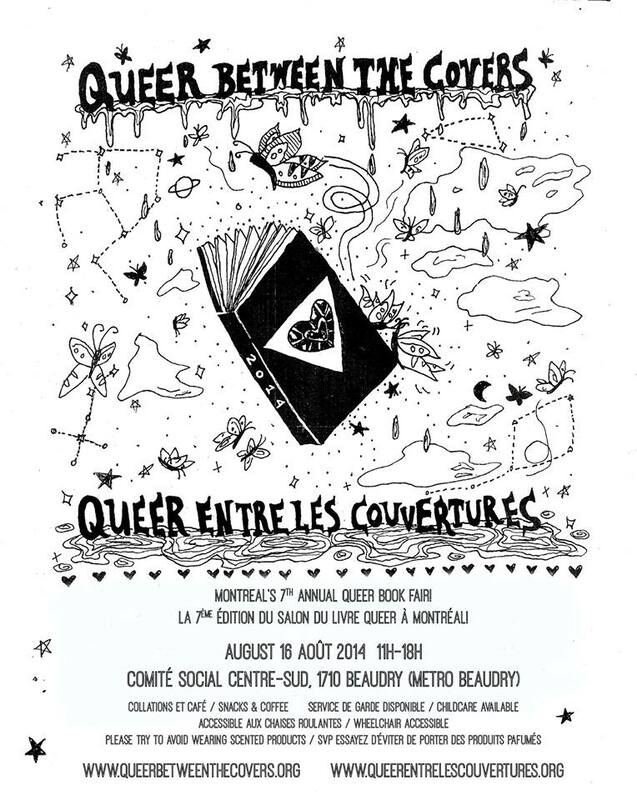 Montréal’s annual queer bookfair at the Comité Social Centre-Sud (1710 rue Beaudry). Free entry, wheelchair-accessible venue. Please note that the entrance to the book fair will be through the parking lot on the south side of the building. Facebook event here. I’ve been working on adding a couple of zine descriptions to the website everyday, and there are a bunch of new zines in stock, including Vanity Zine; Rum Lad #6/Gadgie #31; Tongueswell #2; Pinch Kid #4-#5; Finale 95 #4 & #4.5; Deafula #6-#7; Abstract Door #1-#3; Bike Rides From SW Montréal; Your Body Is…: Reflections on Supporting People with Internalized Fatphobia, plus a few that are focusing on addiction and recovery, and other conversations around alcohol – Quiet Riot: AKA The Shy Sober Kid Zine and two issues of Spirits: Relationships With Alcohol & Drugs. Stay tuned for an announcement about the re-launch of the Fight Boredom Zine Residency!